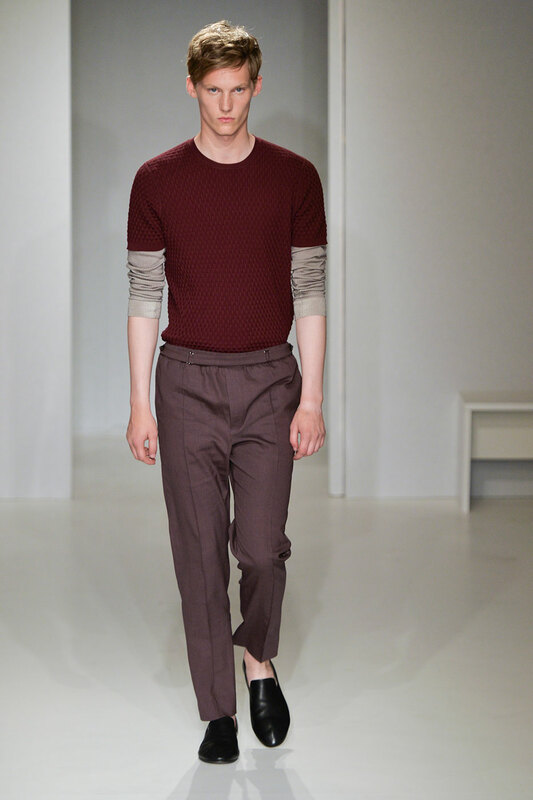 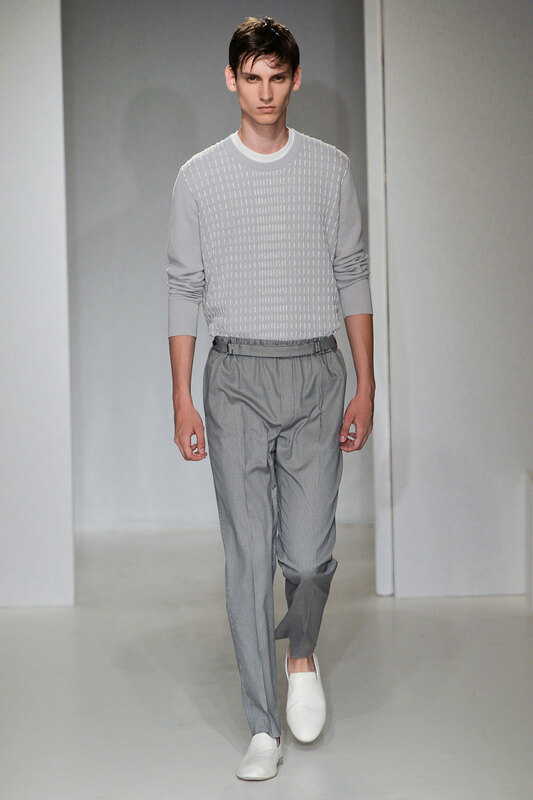 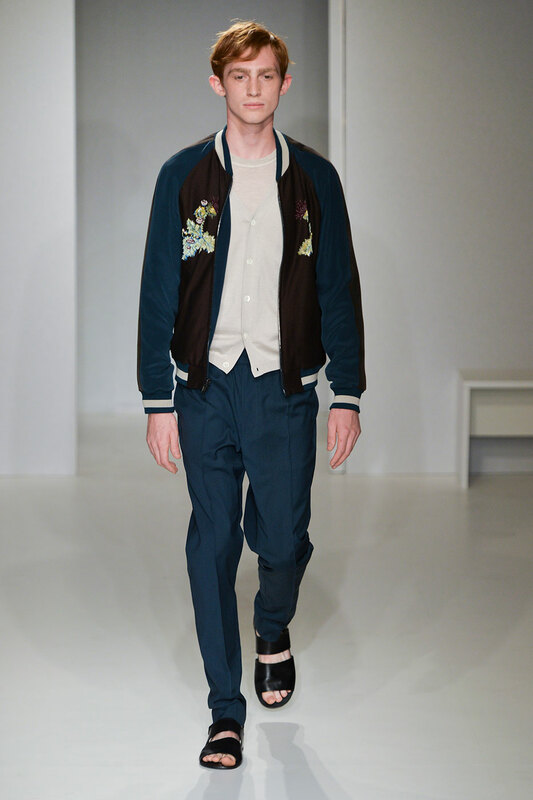 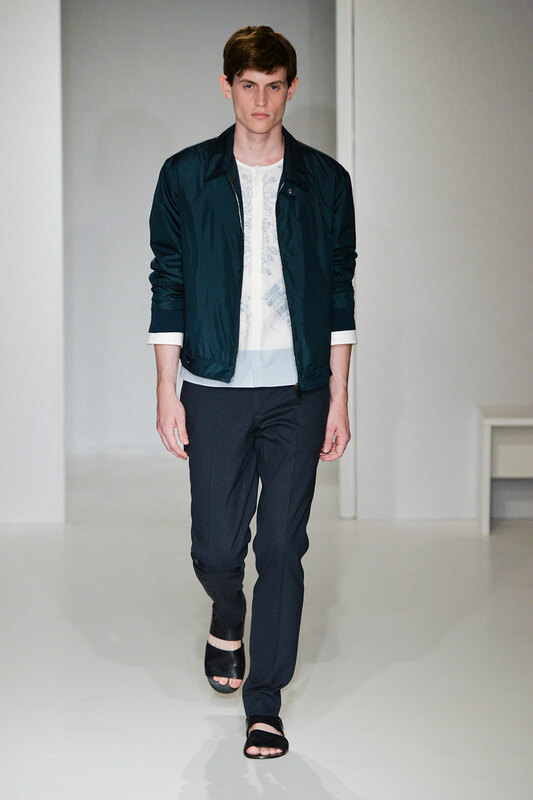 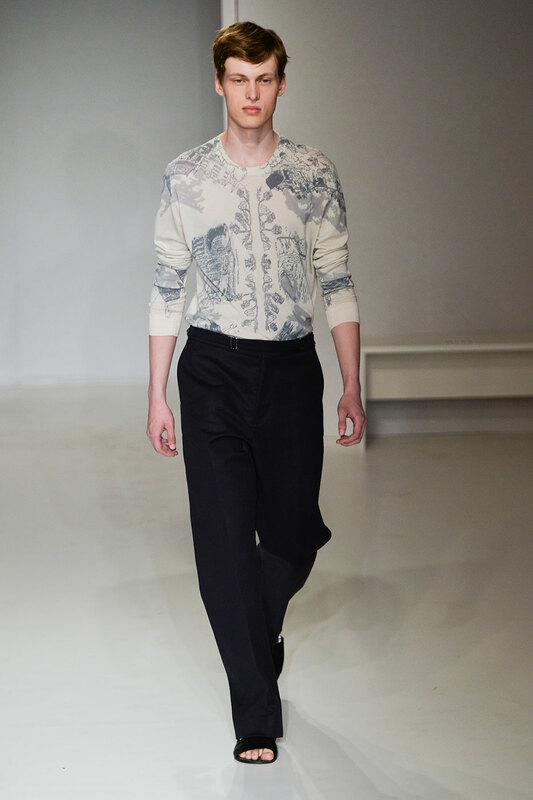 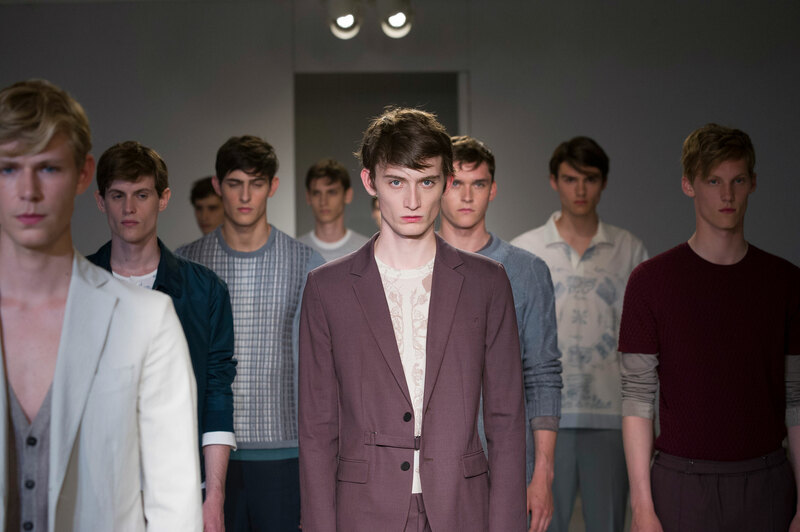 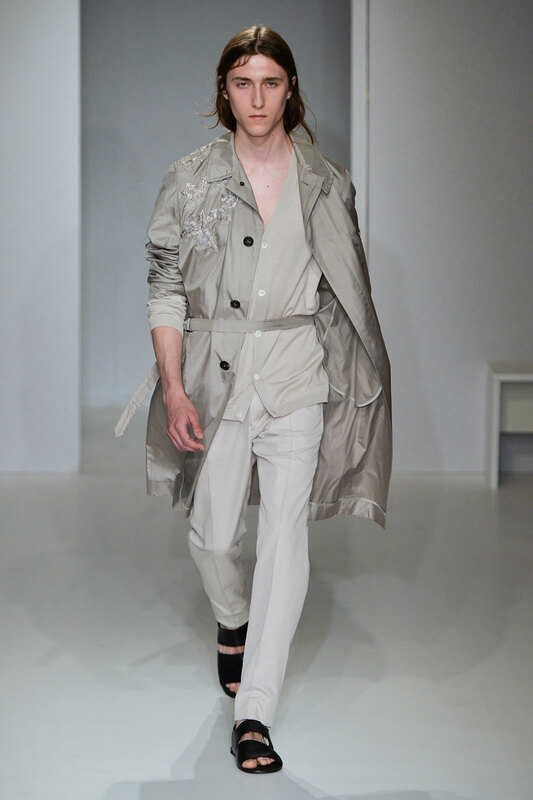 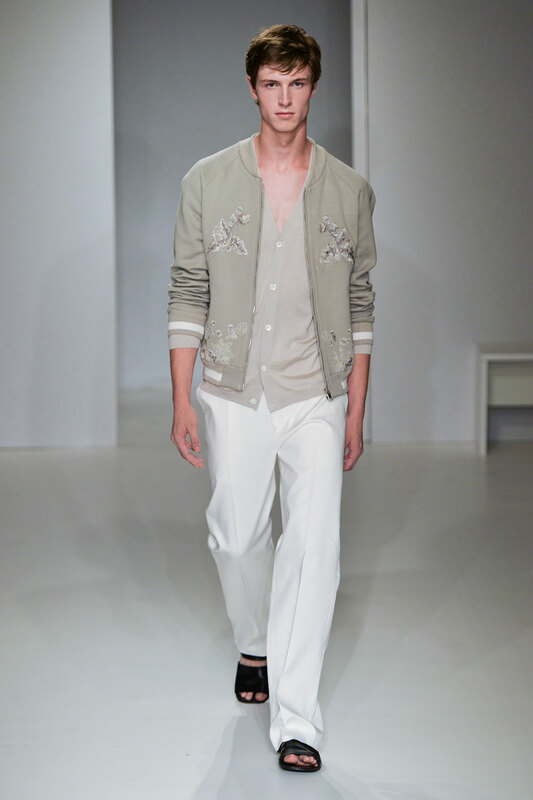 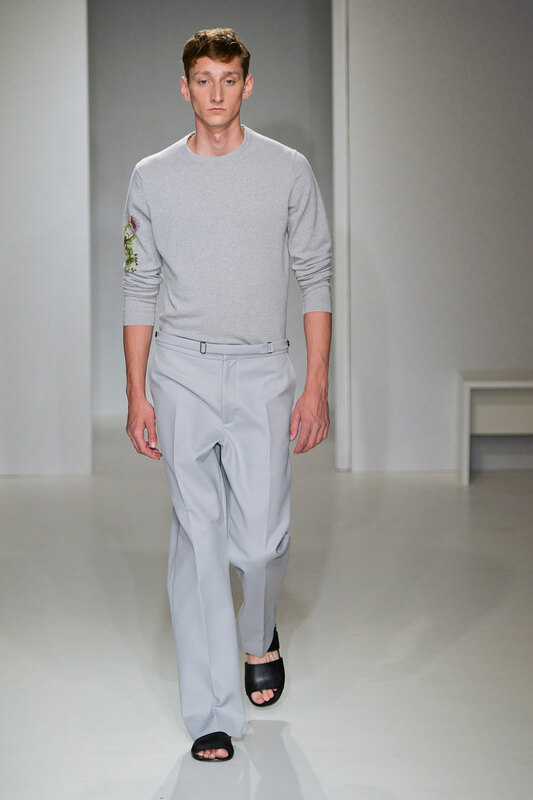 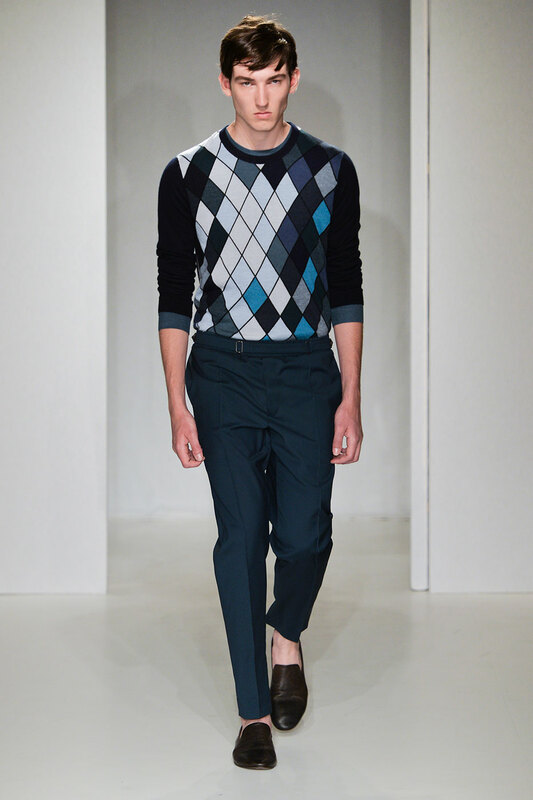 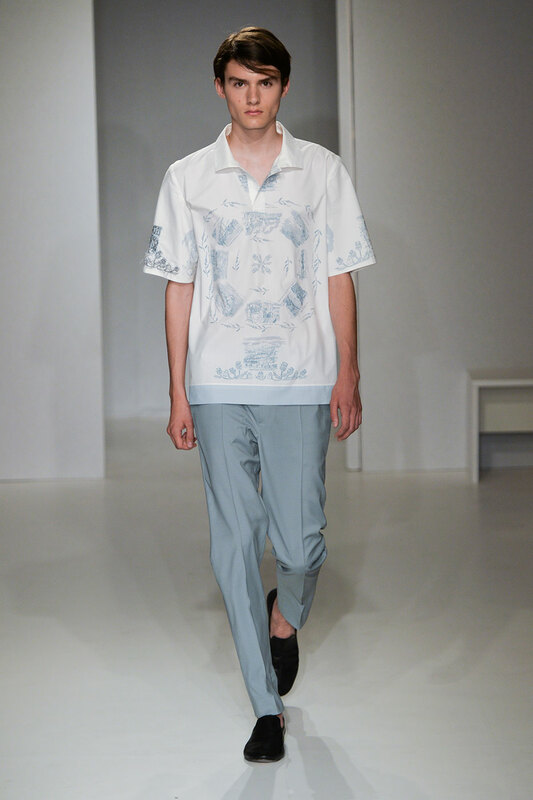 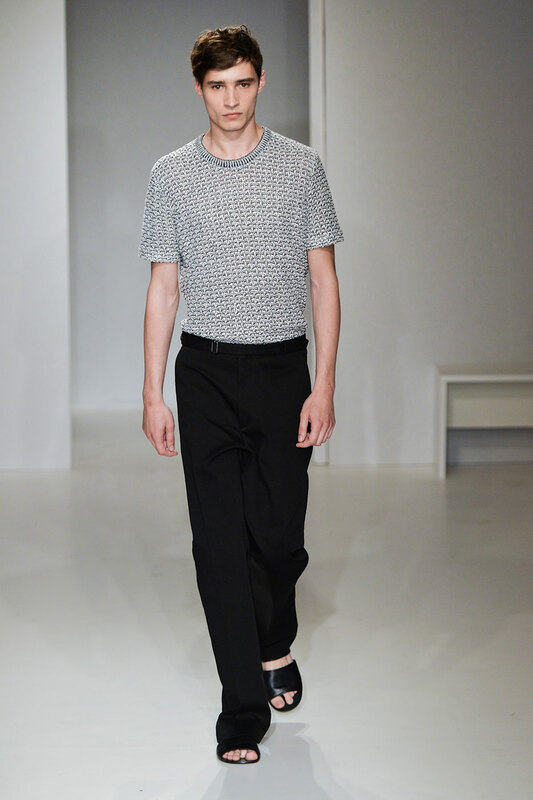 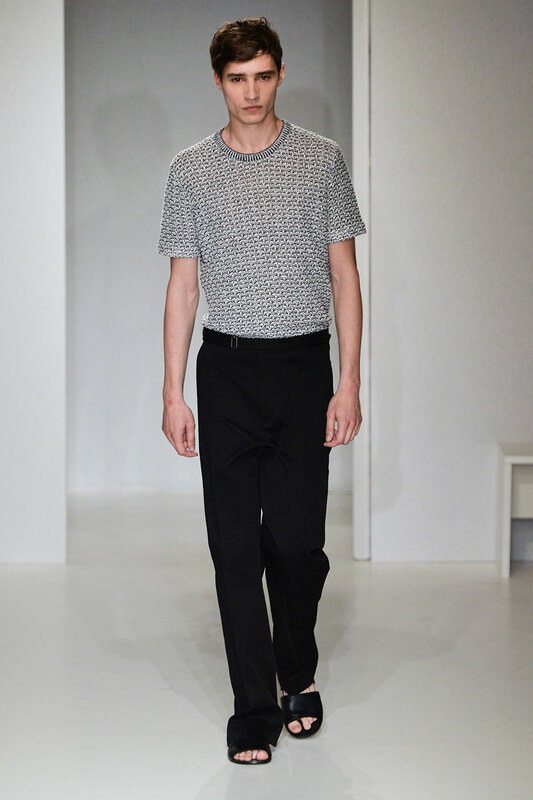 No other brand can compete with the superior minimalist image that Pringle of Scotland so lovingly cultivates. 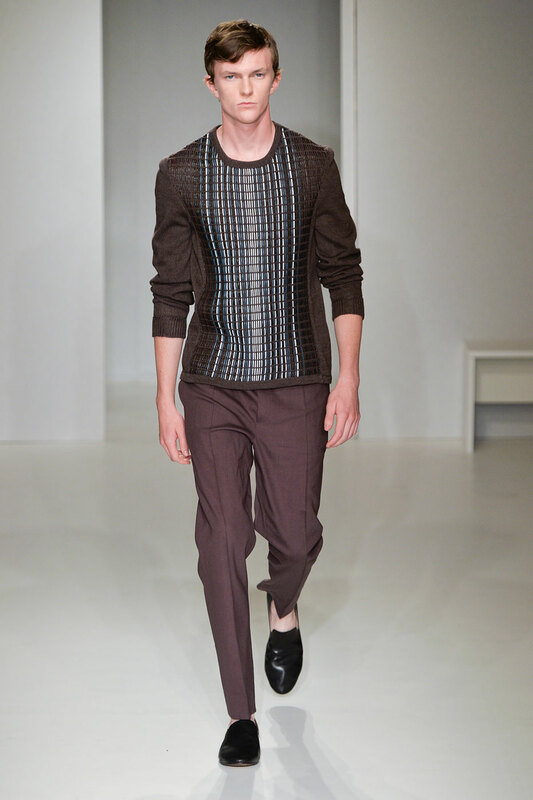 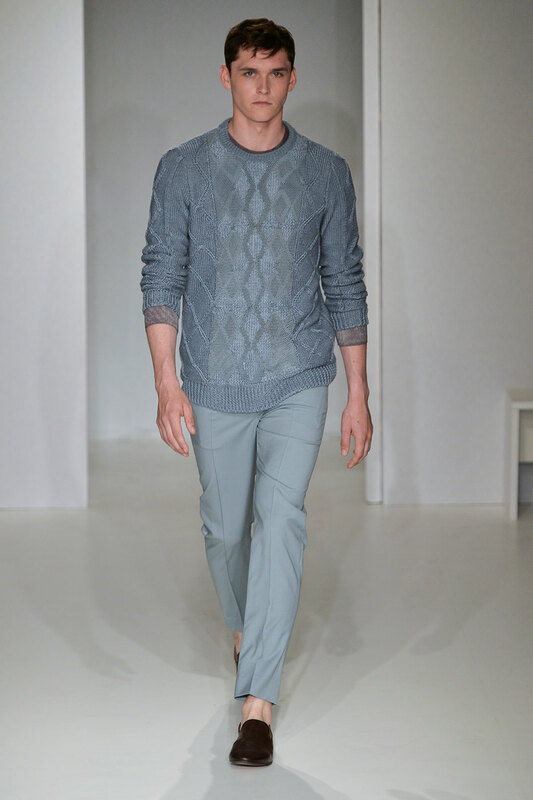 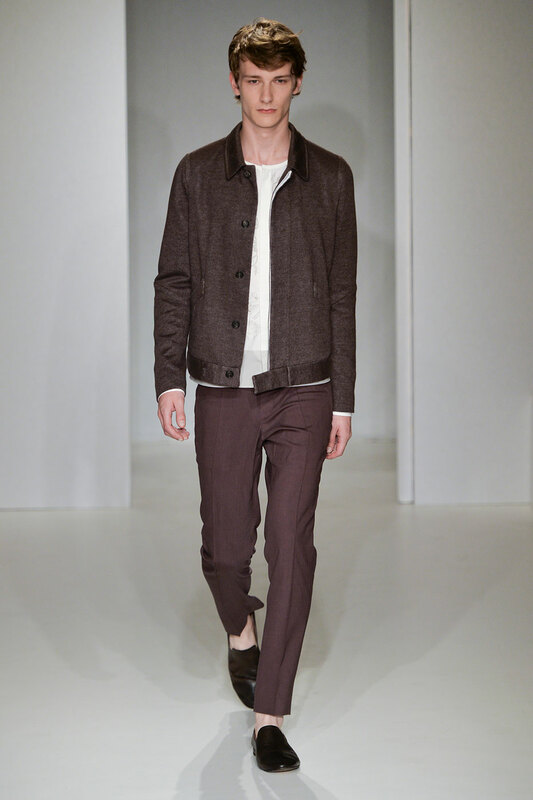 A big believer that less is more, the collection oozes simplicity , modernity and of course masculinity. 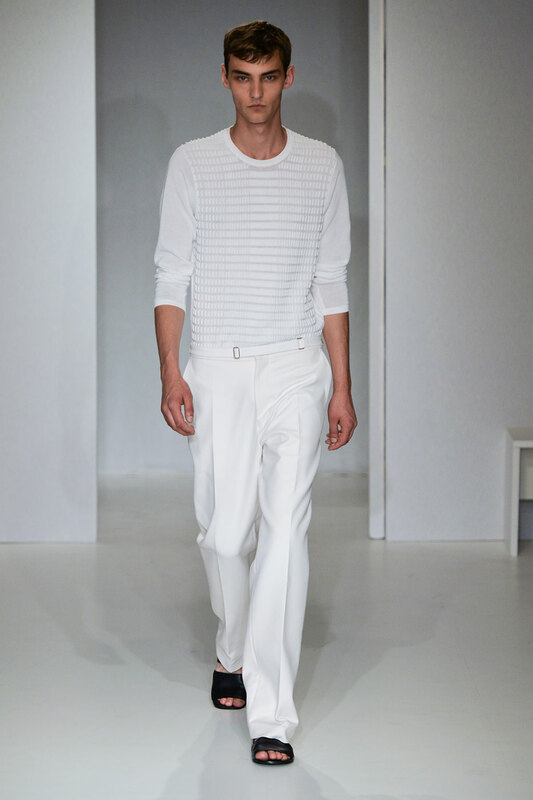 Synonymous with the symbol of virile male pheromones, the ideal Pringle of Scotland man is streamlined, professional and all in white. 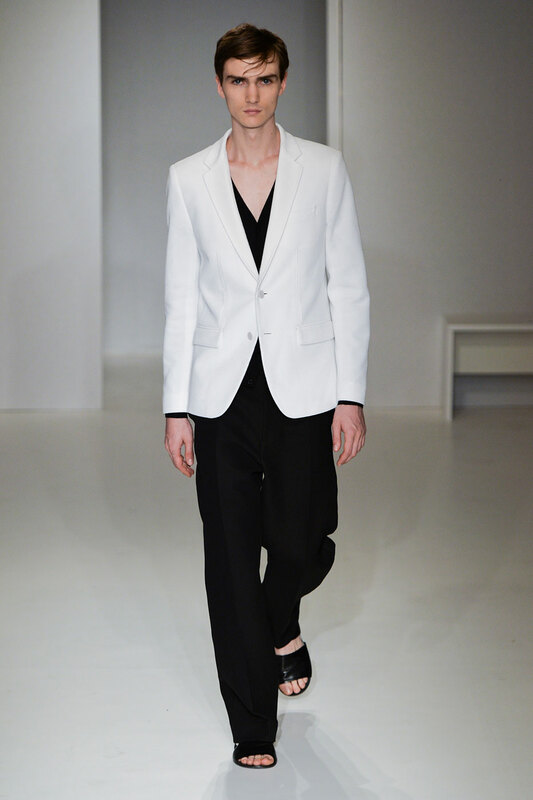 The white suits are relaxed with leather cross over sandals and a v-neck sleeveless cardigan layered underneath the linen suit. 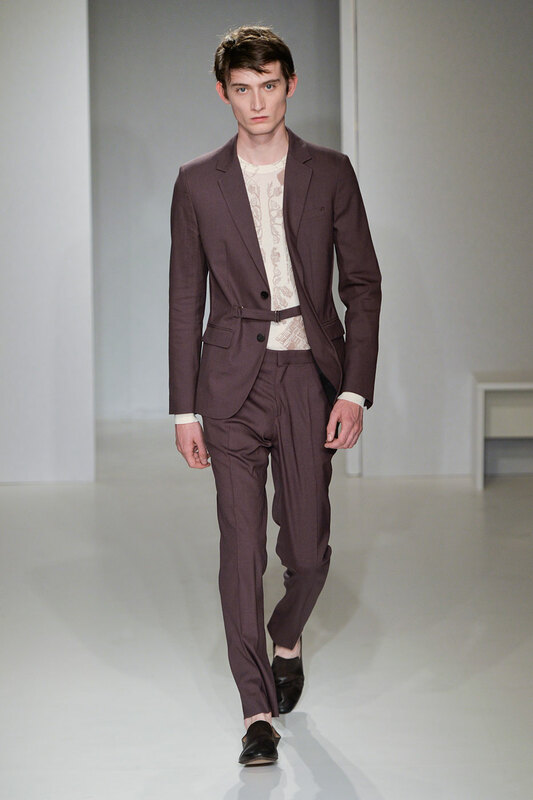 Each individual is swathed in luxurious linen and wool fabrics that embody the true Italian gentleman. 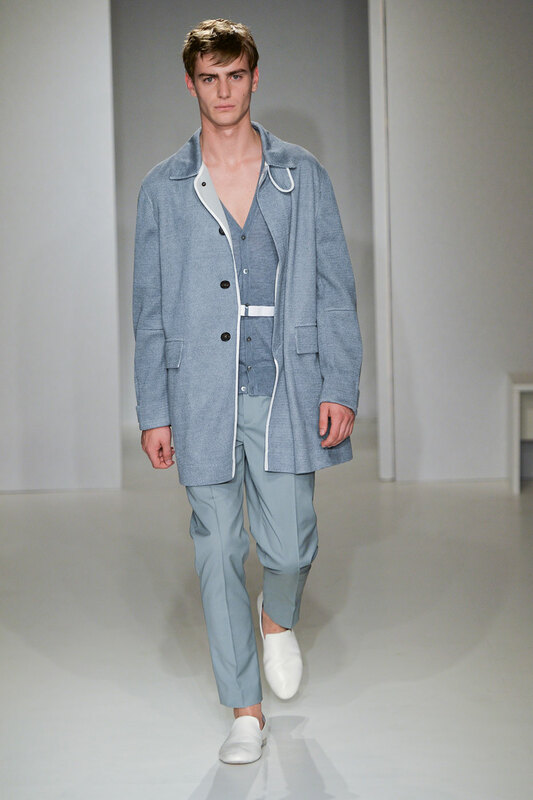 An investment piece to add to your wish list is the duck egg blue high sheen trench draped lovingly over a navy blue trench suit , a colour clash that shouldn’t work but does. 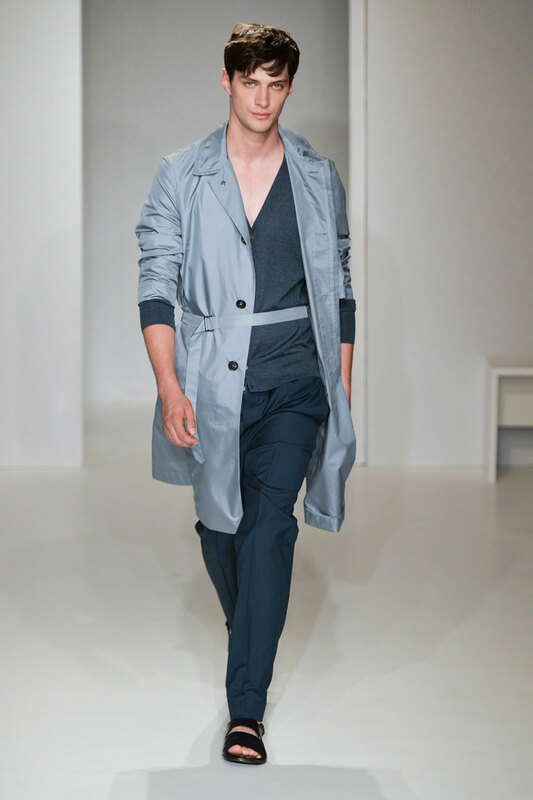 No accessories are needed for the minimalist aesthetic and the simplicity of the brand showcases each models grace , power and virility on the catwalk.